Lobby group wants devices like electronic work diaries compulsory for the trucking industry. 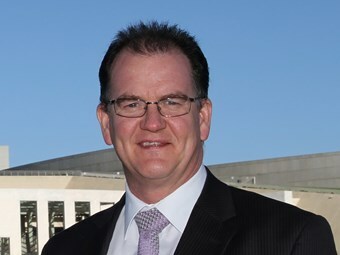 The ALC has again urged Australia’s transport ministers to make telematics mandatory in heavy vehicles, six years after the group first raised the issue. ALC managing director Michael Kilgariff last month penned a letter to transport ministers, following a similar letter sent in October 2014 claiming monitoring devices were necessary to ensure compliance with speed and fatigue laws. "The benefits of ‘black box’ technology are self-evident and its mandatory introduction is long overdue," Kilgariff says. "ALC has long argued that it should be mandatory for heavy vehicles to carry telematics devices (‘black box’ technology) and ALC is urging ministers to make 2016 a year of action to deliver on this important safety initiative." Transport ministers have agreed to introduce EWDs as a voluntary alternative to paper work diaries. The industry will be able to start using them next year, after changes to the Heavy Vehicle National Law (HVNL) took effect on February 6. However, Kilgariff is adamant the devices need to be compulsory if governments want to improve safety in the transport industry. "The data captured by these devices relating to speed and fatigue offences can be used by both businesses and enforcement agencies to improve safety and compliance on our roads, but to drive this reform across the supply chain it needs to be made mandatory," he says. In his latest letter to transport ministers, Kilgariff calls for them to amend the HVNL to require heavy vehicles to install telematics. He also wants ministers to establish a working group to develop standards and systems to collect data. The letter goes on to argue that the reforms should take effect alongisde the introduction of amendments to chain of responsibility provisions. Ministers are due to consider legislative amendments to COR when they meet as part of the Transport and Infrastructure Council in May. "It is time for action on this initiative and ALC looks forward to working with government to turn this much discussed reform into a reality," Kilgariff says. The ALC does have the support of influential players in the trucking industry, with Toll and Linfox also supporting mandatory telematics. However, the Australian Trucking Association (ATA) believes the devices should be voluntary and that they may not suit small business operators and owner-drivers.